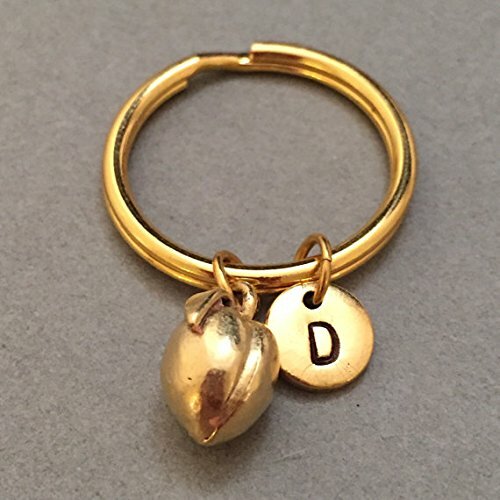 Peach charm keychain with hand stamped initial *Initial charm is antique gold pewter 9mm *Peach charm is antique gold pewter *Your purchase will arrive packaged in a cute gift box and I will include a message by request. If you have any questions about this product by Toodaughters, contact us by completing and submitting the form below. If you are looking for a specif part number, please include it with your message.